Schnooky Pie is a proudly South African company, offering unique handmade outfits to discerning parents. That’s easy enough to say, but the onesie that I received for “review” (how do you review a onesie? cute 10/10?) has instantly become one of my favorite items in Harley’s wardrobe for a variety of reasons. And lucky for all of you, you can win it in this giveaway! 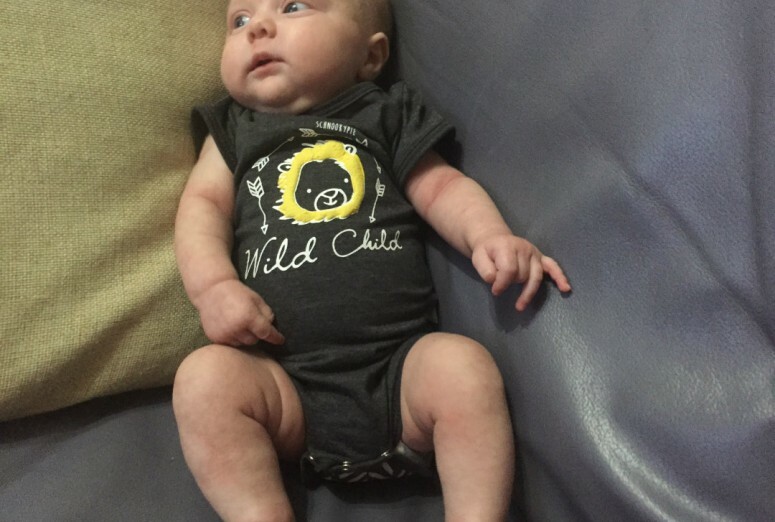 The design of this Wild Child onesie certainly is one-of-a-kind. 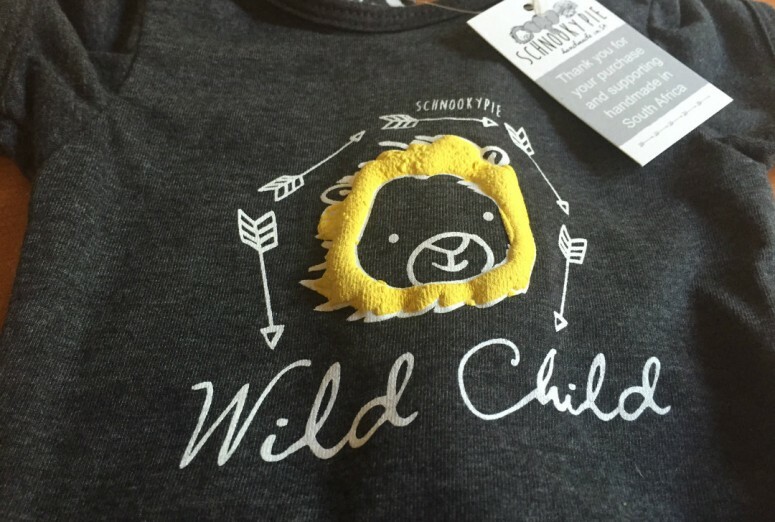 I love the puffy mane on the little wild child lion, which gives it a South African vibe without rubbing your face in it. 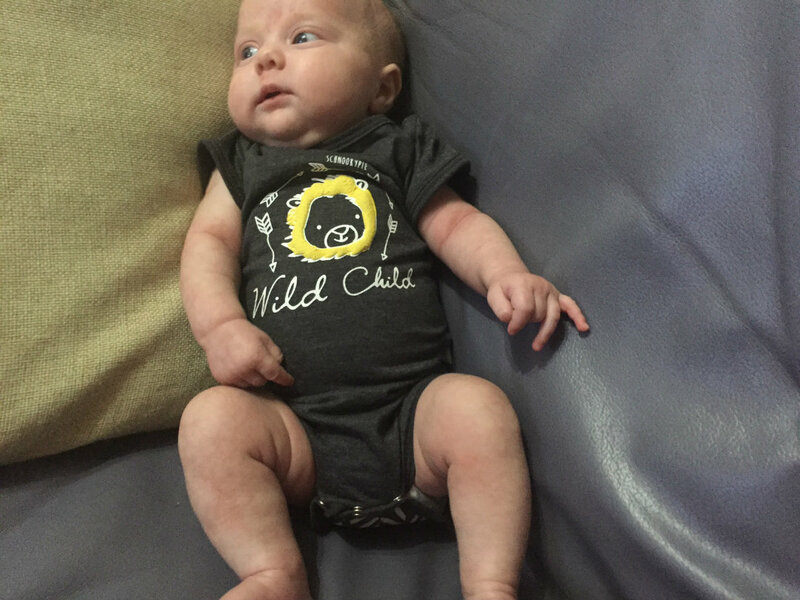 Plus, everyone who sees Harley in it thinks it’s too cute, asking if she is a wild child with a real roar – obviously they want to hear her scream as only babies can. Intriguingly, all the onesies from Schnooky Pie have snaps all the way down the back. This was fantastic for Harley. She hates having clothing pulled over her head, which means getting her changed usually results in screams and many tears. With this onesie, I could put her arms and legs through, and then either pick her up and have Dean do up the buttons while I hold her, or I could turn her over for tummy time while snapping my way up her back. It definitely got a Harley scream-free stamp of approval. Speaking of the back of the onesie, it not only has the cool snaps, but it also has an interesting pattern. I really appreciated this – I spend most of my time holding my baby to me, and having a unique design on the back means that her outfit still looks funky even when she has her back to people. The quality of this onesie is really great. Be warned, the size of this one does run rather small – there’s a sizing chart that indicated the birth onesies only go up to 4kgs. With Harley just crossing the 4kg milestone, I was quite excited to ask for a 3-6 month onesie for her. As you can see, it’s a rather snug fit around her middle. I’m happy to have her in clothes that actually fit her (as a preemie, most things can require some growing into), but be sure to check the sizing chart to ensure that your little one can fit in his or her outfit. The material used is nice and soft, while still so durable. I washed the onesie just to be sure for this write up and I was impressed that even after washing the design was still clear (none of it came off in the wash) and the material still felt nice. The stitching is solid and the snaps are of a higher quality than the studs usually used on baby clothes. 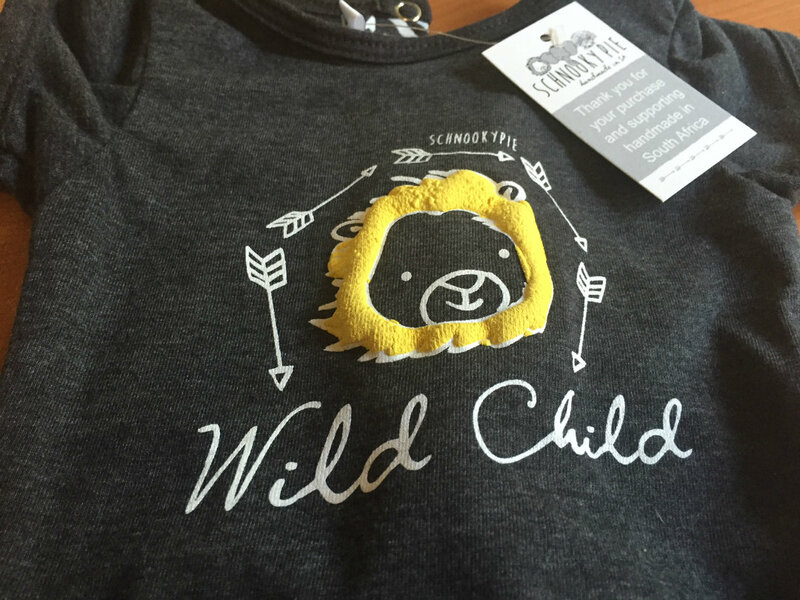 What could be better than a fun, high-quality, locally-made onesie? Getting one for free! Schnooky Pie goes up to 24 month sizes, and you can enter to win one of your very own. 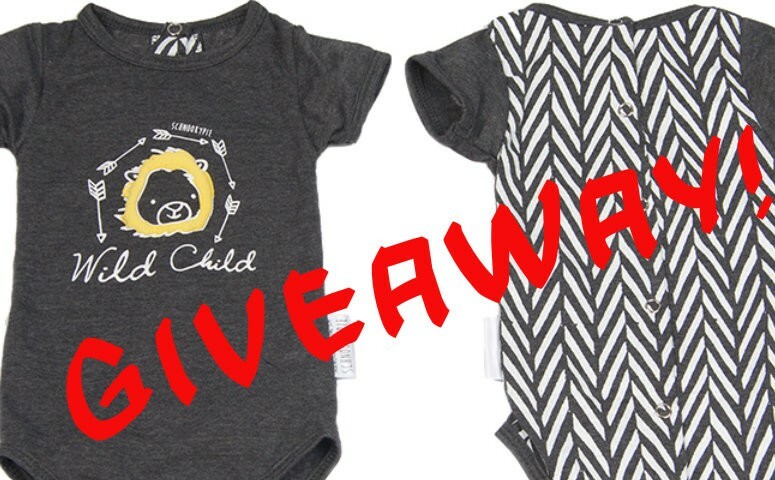 Just leave a comment below telling me about a favorite baby outfit, or even what you like about dressing your little one, and you can get a chance to win. For more chance, be sure to visit our Facebook pages and follow us on twitter! Sorry, entries only open to those with an address in South Africa.